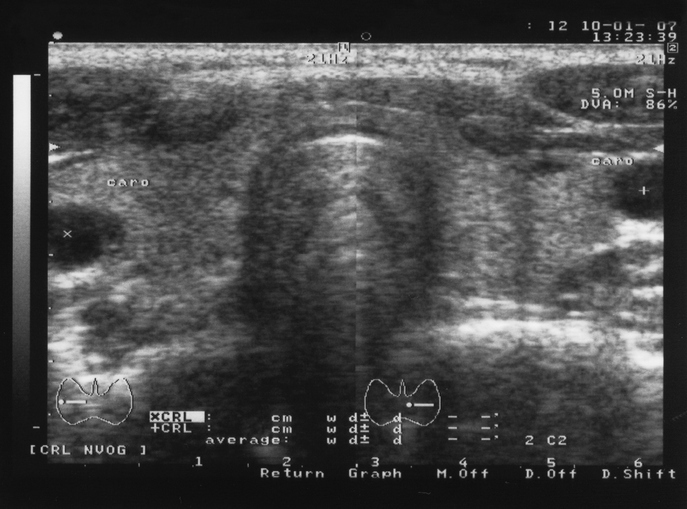 Definitions and examples of Thyroid Ultrasounds are presented in two views. 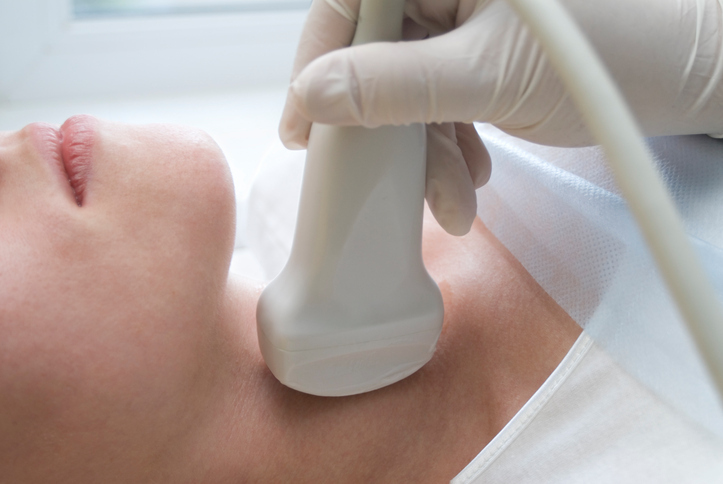 Ultrasounds are frequently used to look for nodules, growths, or tumors in the thyroid and parathyroid glands. It can be an effective test for screening and diagnosis in these areas. Because ultrasounds provides real-time images, it is often used to guide procedures such as needle biopsies. Ultrasound may also be used to guide the accurate placement or insertion of a catheter or drainage tube. 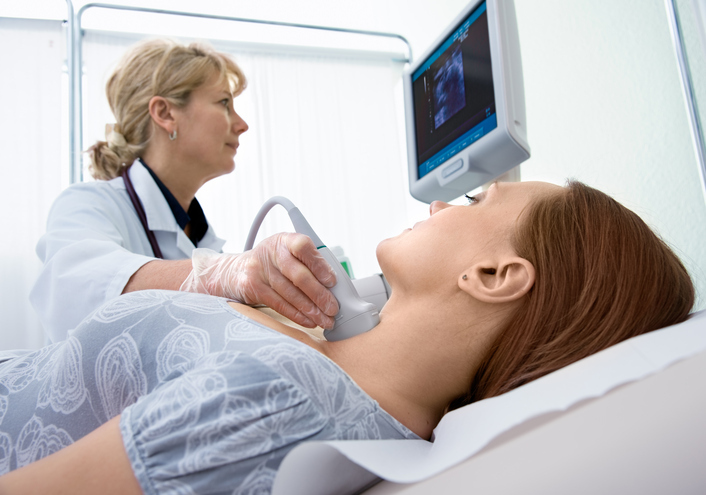 Thyroid gland ultrasounds can now detect a number of issues for treatment. Thyroid ultrasounds are painless and are done while the patient is awake. 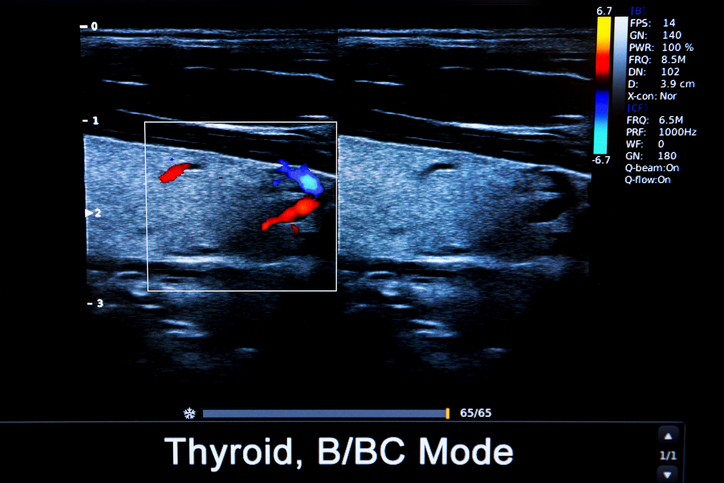 Dual mode thyroid ultrasound like this one present two views. 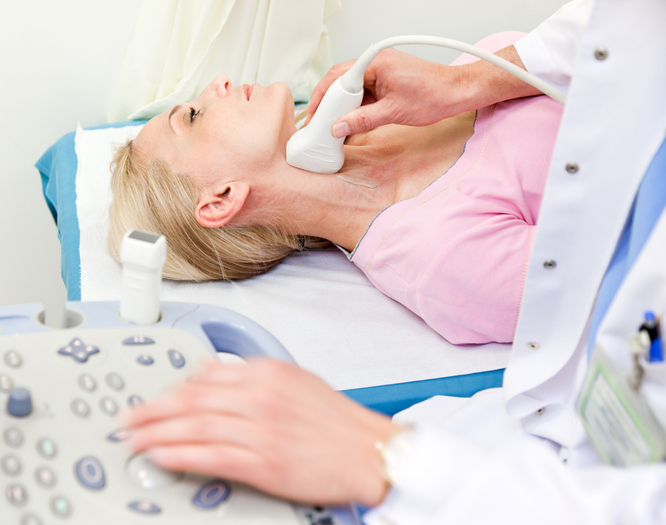 Neck ultrasounds are used for a variety of reasons with both men and women.